Models produced by researchers at Imperial College London indicate that the ongoing Zika epidemic in parts of Latin American will likely burn itself out within three years. Finally, we have some good news to share about this dreadful disease. A new report published in Science concludes that the Zika epidemic will largely come to an end in about two to three years, and that the next large-scale epidemic is unlikely to emerge for at least another ten years. Unfortunately, the Zika virus is not going to disappear completely, so we still face the distinct possibility that smaller outbreaks may emerge over the course of this time. The study also concludes that the epidemic cannot be contained with existing control measures. Because the virus is unable to infect the same person twice...the epidemic reaches a stage where there are too few people left to infect for transmission to be sustained. For the study, a team led by epidemiologist Neil Ferguson collated all existing data pertaining to Zika transmission across Latin America, along with data about the spread of similar viruses, such as dengue. The researchers used this information to build a mathematical model representing the current epidemic, and to predict future waves of transmission. According to the models, another large-scale epidemic won’t start for at least another ten years—a time when a new generation who hasn’t been exposed to the virus will emerge in the population. 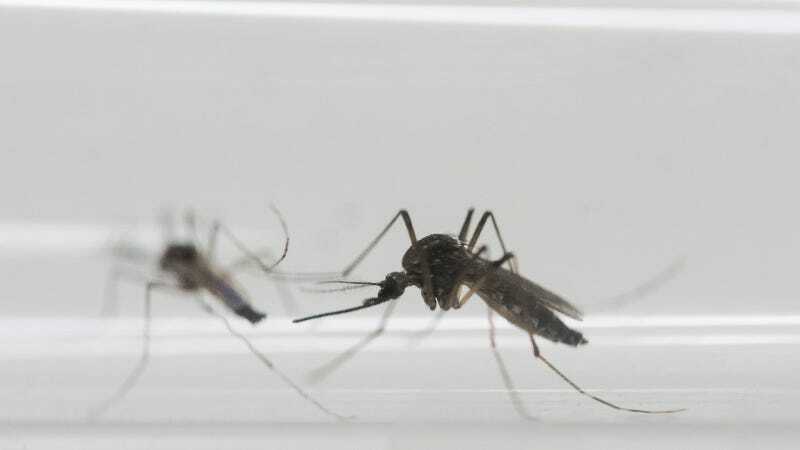 This is similar to the way other epidemics work, such as chikungunya (another mosquito-borne disease that’s similar to Zika and dengue), in which explosive epidemics are followed by long periods with few new cases. Ferguson’s team also cautioned against any large-scale government programs to target mosquitoes, saying the effort will have very little impact at this point. As this research shows, herd immunity is a very powerful natural process that enables a population to hold back and prevent the ongoing spread of dangerous viruses. Herd immunity can also be commuted to the population through vaccinations which is why it’s so important to get immunized. Sadly, the grossly irresponsible and irrational anti-vaxxer movement is weakening herd immunity, making young children and those who cannot get vaccinated for valid health reasons more susceptible to diseases such as measles and whooping cough.